Over the last few seasons, Manchester United have emerged as one of the biggest spenders in European football. Under Jose Mourinho alone, a transfer bill of £300 million and counting has been recorded at the Mancunian club. Despite that, success in the form of major silverware is yet to be found. With the Premier League title well out of their hands already, United even saw Champions League football go for a toss, as the club suffered a 2-1 defeat to Sevilla mid-week. That loss, in particular, has led Mourinho and company into heavy criticism, and plans to amend these flaws have already been floating about. 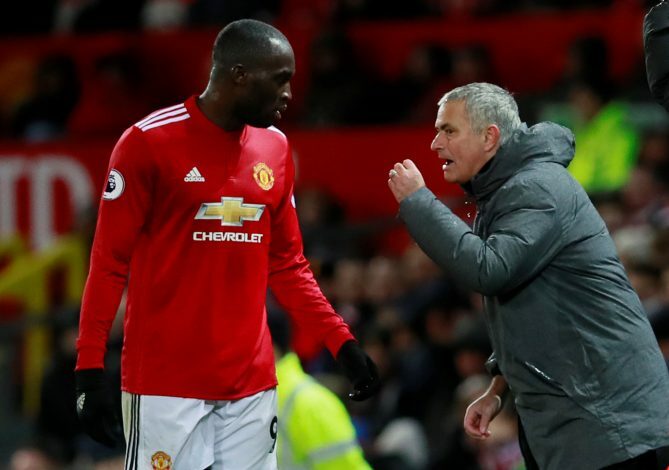 Now, Romelu Lukaku, himself a massive £75 million arrival, has given a significant update regarding United’s spending plans in the coming summer. As per Daily Mail, Mourinho and his striker are ‘looking forward’ to new players arriving at Old Trafford. Already, the names being considered in the shortlist are believed to be those of Ivan Perisic, Fred, and Blaise Matuidi. The source also added that Anthony Martial might be on his way out to accommodate some of these transfers. While Mourinho did go on the record and state that a midfielder will be the side’s sole target in the upcoming window, the embarrassing defeat to the La Liga outfit might have a huge bearing on any plans hereon. However, all names mentioned are apt to come with humongous price tags of their own, and the bigger question does remain as to at what point will spending bereft of results be manageable.